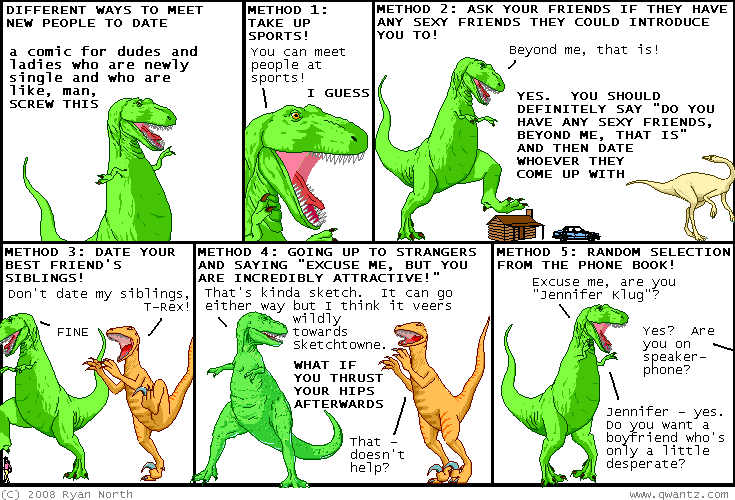 Dinosaur Comics - August 12th, 2008 - awesome fun times! August 12th, 2008: I was on the CBC yesterday: I did an interview with Sounds Like Canada and we talked about my comics! They've put the conversation online and you can listen to it right here. It was fun to do because the host was in Vancouver and I was in Toronto, and with the headphones they gave me, it was like the voice of God was coming from above and asking me questions. Good times!